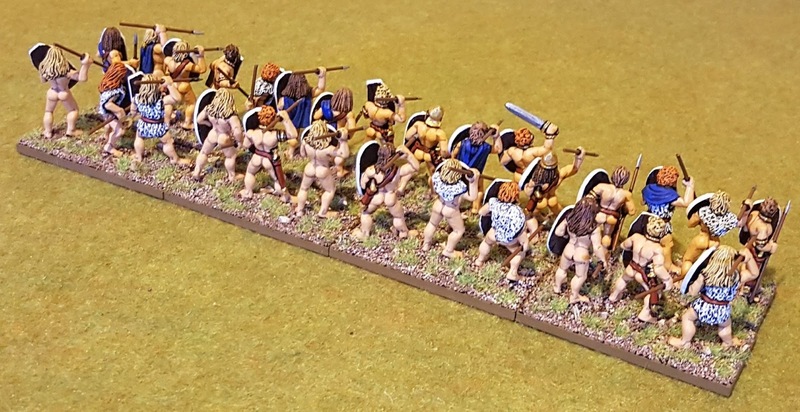 A newly painted mob of Galatian Mercenaries joins my Hellenistic forces. Galatians were a Celtic people who from 280 BC rampaged across Greece and through to Asia Minor, where some of them settled. They were mercenaries in many Hellenistic armies, sometimes fighting naked and sometimes with looted equipment. Galatia eventually became a Roman province in 25 BC. These figures are a mix of naked figures from Black Tree Design, from their naked Celtic, naked German and naked Greek ranges - which are fairly extensive. As you can see I don't think there is a single duplicate figure. I asked for them all to be supplied with a mix of Celtic and Peltast shields which Black Tree obligingly did. I ordered 24 but was sent 28 as order was delayed when they couldn't find one of their naked packs. In ADLG rules these are 'Heavy Swordsmen Impetuous Elite'. They will happily cut their way through most enemy infantry, and very dangerous when they first hit. When close to the enemy it's also very difficult to restrain them from charging if you don't want them to though! 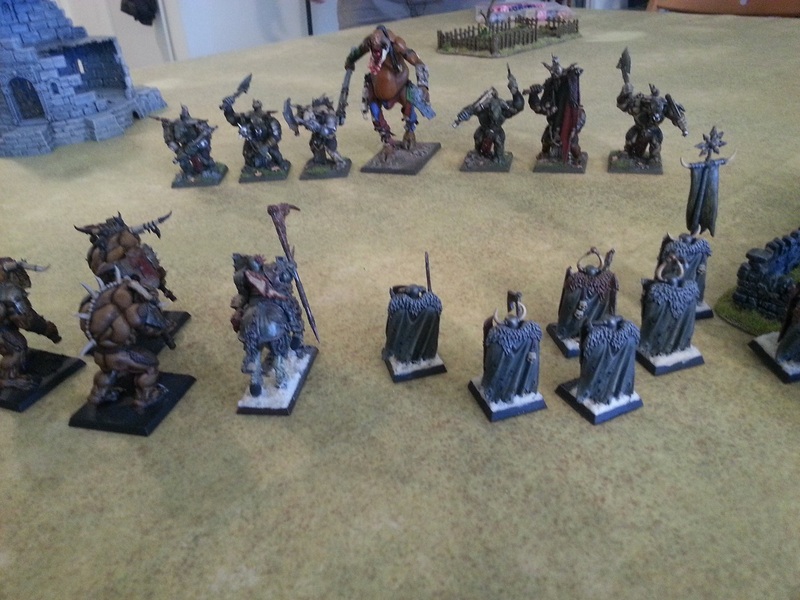 I based them up with four 4 figure bases and four 3 figure bases. A tight fit on the 4 figure ones! Thanks for viewing. 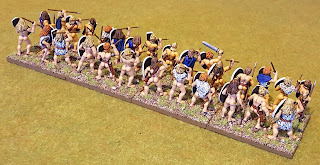 This post also reminds me I still haven't added pictures of my Republican Romans despite playing quite a few games with them now. Must do! Lovely painting, Mark, and quite a "moonshine" from the later pics! They look great, nice job!